WhatsApp’s already-solid UPI offering has just become a lot more useful. WhatsApp now lets users send payments through QR codes. In doing so, WhatsApp has taken yet another step towards competing with wallet and bank apps, which already let their apps scan a code in order to make a payment. WhatsApp’s Android app with the beta version V2.18.93 currently has QR codes enabled, and the update will be rolled out to the Play store in the coming days. 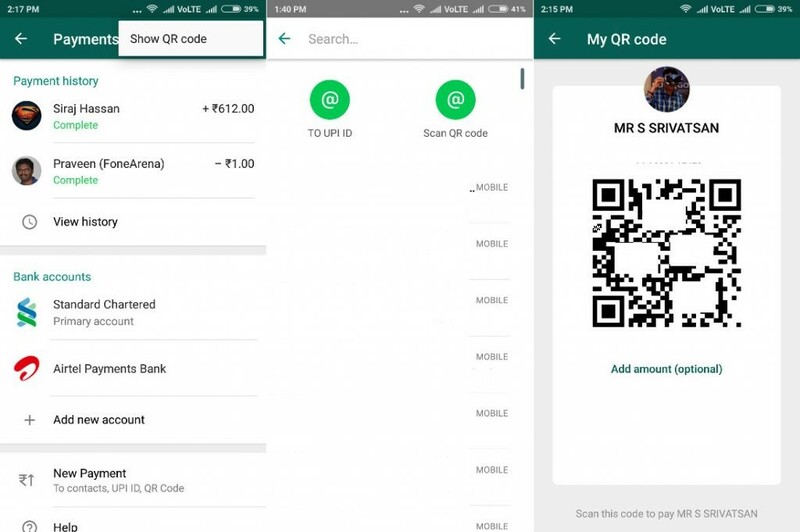 To pay through a QR code, users can select the Payments option from the menu on their WhatsApp apps, which will present them with two options — pay through UPI Id or Scan QR code. Users who wish to pay using QR codes can scan the code, enter the payment amount followed by the UPI ID, and make the payment. Users can also view their own QR code by clicking “Show QR code” from the Payments section. This functionality makes WhatsApp an even more formidable competitor to traditional mobile wallets. WhatsApp had already become a natural fit for sending P2P payments, in part because of its ease of use, and in part because of increased KYC requirements around digital wallets. One aspect, though, in which WhatsApp lagged behind wallets was B2B payments — users would’ve found it cumbersome to either store a merchant’s number on their phone, and then make payments through WhatsApp, or type out a complex UPI ID each time they’re paying at a shop. WhatsApp’s QR codes can help customers work around this and pay merchants with a scan of their phones, and possibly prise away some of this market from traditional wallet apps. And it’s possible that mobile wallets themselves have prodded WhatsApp to bring about this feature as quickly as it has. Paytm CEO Vijay Shekhar Sharma had lambasted WhatsApp’s UPI offering when it was released, claiming that it didn’t have many required features that had been mandated by the NPCI, including the provision to pay through QR codes. WhatsApp appears to have taken Sharma’s complaint to heart, and within a month released a version that includes QR code functionality. 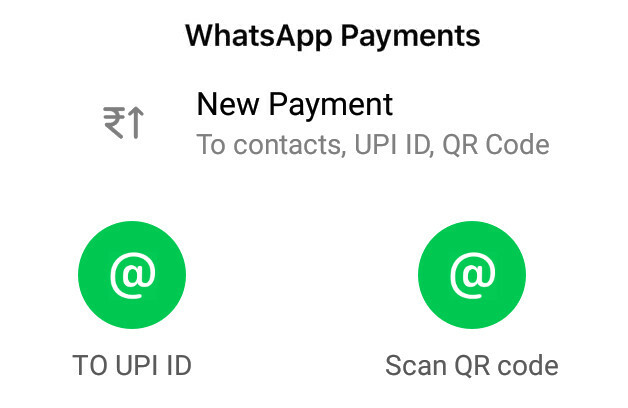 WhatsApp is now more compliant with UPI guidelines, but its QR codes will help it compete more effectively with Paytm, and possibly steal away some of its users. While there isn’t enough data out yet to determine how popular WhatsApp’s UPI offering is, WhatsApp’s product development timelines show that it’s serious about its payments feature, and is looking to make inroads into the Indian market as soon as it possibly can.